IDrive Vault (Snapshots) offers a secure local storage for all the data on your computers. 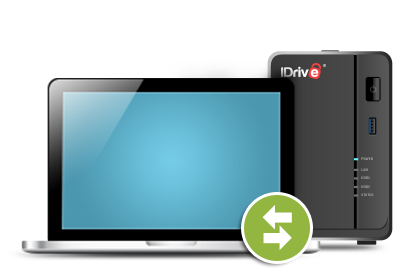 It backs up large amounts of data in real-time to the IDrive Vault appliance. You can also customize your backup set and schedule your backups to the Vault appliance for automated data protection. On installation, IDrive Vault Local Backup initially backs up all your data, and then performs incremental backups since the last backup, which means subsequent backups will only include files / folders that have been added since the last backup.